The Long Island poetry community will mark a quarter century of THE LONG ISLAND QUARTERLY on Saturday, February 27, 2016, celebrating a special 100+ page hard-copy edition of the venerable journal at the Walt Whitman Birthplace. 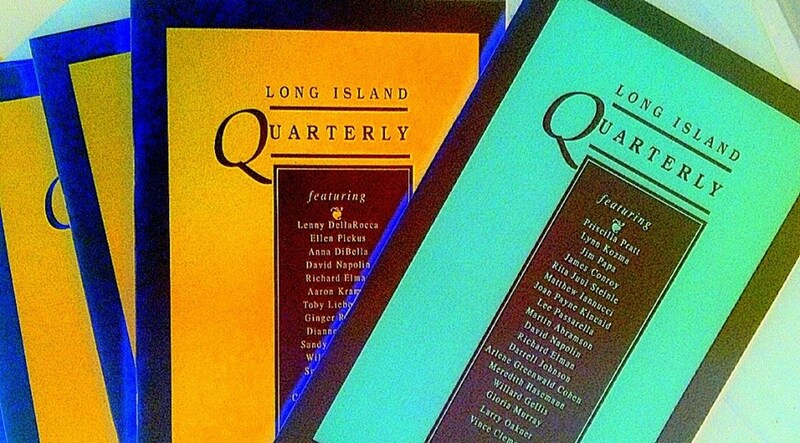 Long Island Quarterly (LIQ) was founded by George Wallace in 1990. Over the years an estimated 1500 poems by 600 individual poets have been introduced to the world thru the publication, ranging from poets with national reputations to those seeing their work in print for the first time. From 1990-2005, LIQ appeared as a 4x yearly print magazine, edited by Wallace with associate editors Patti Tana and Richard B Weber. From 2005-14 the quarterly was changed to electronic format, published annually in association with Poetrybay.com, with Wallace, Tana and Mankh as editors. In 2015, Ed Luhrs joined as an associate editor, replacing Mankh. This year's LIQ -- the 25th anniversary issue -- was produced by Local Gems and features new work by 110 contemporary Long Island poets. With Every Copy Of The 25th Anniversary Issue You Buy!